Oscillating breaker emptying the mold boxes by means of a screw-like oscillating movement in the shake-out process (Fig. 1:KLEIN Anlagenbau AG, Niederfischbach) The spiral breaker is loaded via an upstream charging chute or separate shake-out grid. The sand reaches the external transport spiral through a floor grid in the breaker chamber. This spiral is integrated into a fine-screen line, separating sand from oversized grains. A discharge chute transfers the sand to a downstream unit for further processing. 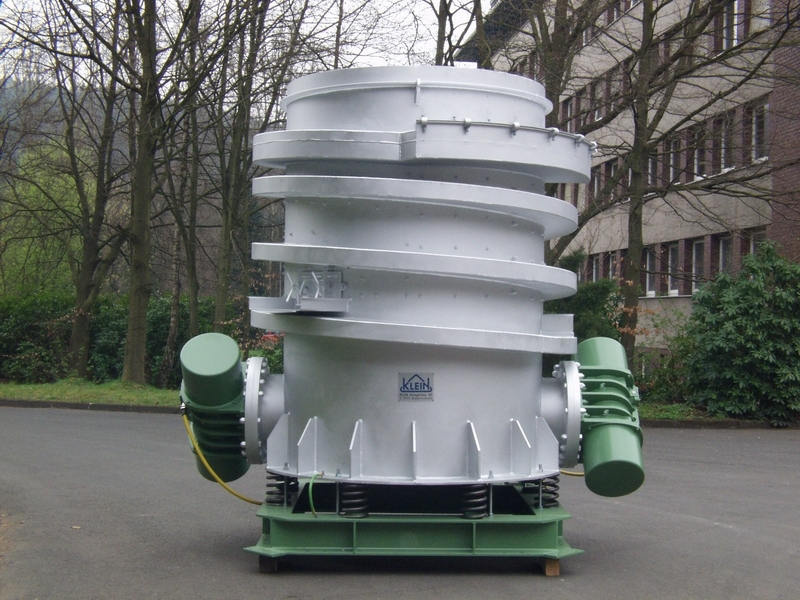 The oversized grains can either be discarded or returned to the breaker chamber to be crushed further. Large metal and foreign components remain in the breaker chamber and are automatically discharged via a chute in well-adjusted intervals over a manually opened hatch.